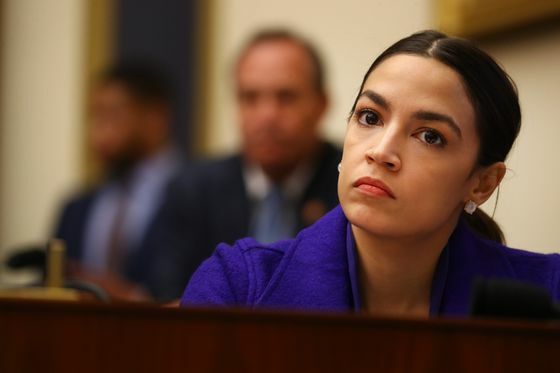 (Bloomberg) -- Democratic Representative Alexandria Ocasio-Cortez accused conservative activists and a newspaper of inciting violence against a fellow progressive House member, Minnesota Representative Ilhan Omar. Ocasio-Cortez said at a House Democratic retreat in Leesburg, Virginia, that the New York Post endangered Omar with a front page Thursday that criticized her comments about the Sept. 11 terrorist attacks. On Wednesday, Ocasio-Cortez tweeted that an email by Ohio College Republicans calling her a “domestic terrorist” put her in danger. Omar has been the subject of controversy over her remarks for months. The House voted to condemn hate speech after she made comments about the loyalty of Jews and the role of Jewish donors in politics that were widely viewed as anti-Semitic.